Welcome to the March 2016 Newseltter. His Holiness Gyalwang Karmapa, Ogyen Trinley Dorje, will visit Europe again this year.This visit has now been confirmed and all necessary clearances have been given by the relevant authorities. His Holiness will teach in Geneva (21-22 May), Zürich (28-29 May) and Paris (4-5 June). 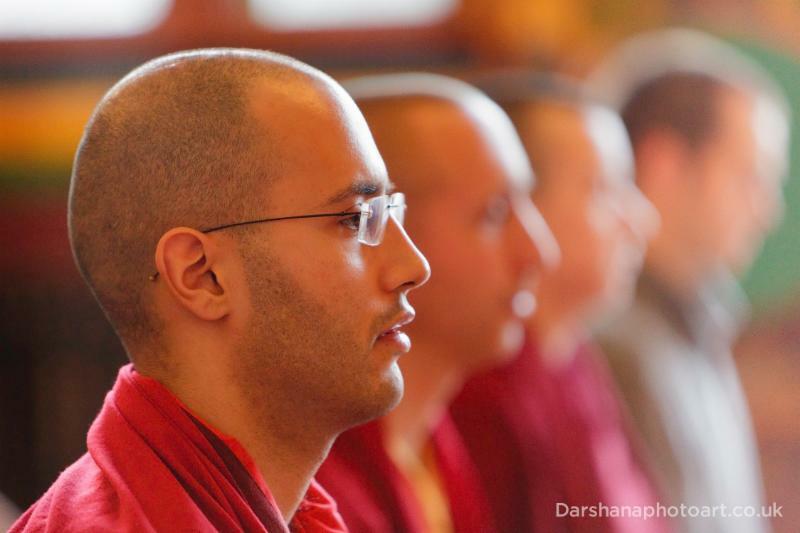 Details can be found on the Karmapa Foundation Europe website. A group from KSD London will go to Paris for this wonderful occasion on the 4th-5th June. The film 'Akong - A Remarkable Life' is now at its final stage. Chico Dall'Inha has worked tirelessly on this project, and has finished the editing. He is now working on the music for the film. 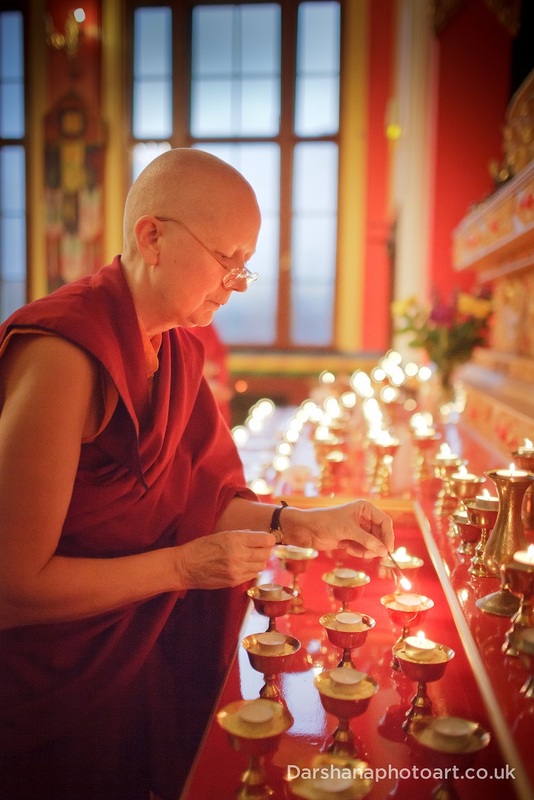 After a private screening in Kagyu Samye Ling Monastery on 24th March the film will go on tour. This is the first ever documentary film about the inspirational life of Choje Akong Tulku Rinpoche. Through his powerful message of loving-kindness and compassion and his humanitarian work around the world, Akong Rinpoche has benefited the lives of countless people. This film aims to make his inspirational life story available to future generations. Volunteer opportunities - We welcome people who are interested in helping out regularly on a weekly basis in the Tibetan Tearoom. We also welcome other volunteers who can make a weekly commitment to help in whatever way is needed. Following the Amitabha initiation given by the Venerable Fifth Minyak Rinpoche last Saturday, we are fortunate to have Gelong Thubten offering instructions on this practice on Sunday 13th March, from 10.00 - 4.00 pm. PLEASE NOTE: As this course will provide instruction in Vajrayana deity practice, it is only open to those who have taken refuge and have also received Amitabha initiation. His Eminence Tai Situ Rinpoche recommended that, to create auspicious conditions for the rebirth of Choje Akong Tulku Rinpoche, all of Rinpoche's students accumulate 100 Million of the following Mantras: Chenrezig, Amitabha, Dorje Sempa, and Guru Rinpoche. 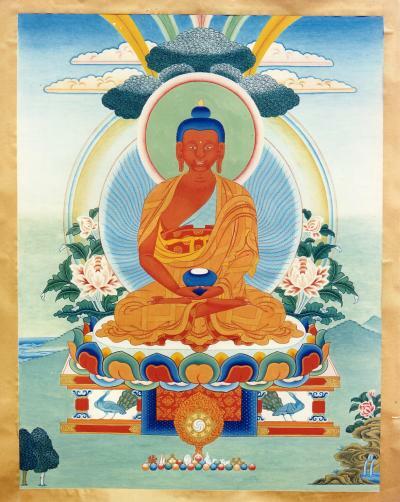 So far there have been less Amitabha Mantras accumulated. To increase the accumulations we are holding some Amitabha practice days this year. Everyone is welcome to attend those and simply sit and recite the mantras. With the initiation and these instructions, we hope that you will be inspired to join in contributing to this total. You can book your place on this day via the event page on the website. Donations can be made using the PayPal button at the bottom of the page. We will look at the various aspects of mindfulness, and there will be explanation of practical methods. There are many secular forms of mindfulness yet they all have their roots in the Buddhist path. When it comes down to actual practice there isn't such a division between secular or non secular, as the training of the mind is beyond such definitions. Buddhism is often referred to as the Science of Mind, and this sutra provides us with excellent material for investigating our mind and developing deeper stability and clarity. The Buddha's teaching on mindfulness with Gelong Thubten starts on Friday 11th March, 7.00-8.30 pm and continues on Saturday 12th from 10.00-4.00 pm. You can book your place via the course page on the website. Donations can be made by clicking on the PayPal button at the bottom of the page. Over three Thursday evenings Lama Zangmo will explore how we can develop the three important qualities of courage, confidence and compassion and look at what hinders us in the process of that development. Courage and fearlessness is the quality of a Buddha; fear is the underlying insecurity of a dualistic experience, and the realm of duality is where most of us find ourselves. Confidence in our innate purity and potential is the basis for all our practice on the spiritual path. We trust that we can change for the better, that it is possible to tame the mind. Compassion starts to arise as we begin to see the similarities of ourselves and others. We all want to be happy. Lama Zangmo will also give meditation instructions during these evenings. Each session will have time for questions and meditation. The talks are suitable for those who have already taken part in an introduction to meditation course as well as anyone who would like to gain better skill and undestanding in their meditation practice and in developing these qualities in everyday life. Courage, Confidence and Compassion through Meditation with Lama Zangmo takes place on three Thursdays from 17th March - 7th April, 7.00-8.30 pm (there is no class on 24 March).You can book your place via the course page on the website. Donations can be made by clicking on the PayPal button at the bottom of the page. Over the weekend of 26th-27th March, Lama Zangmo will teach different aspects of shinay ("calm abiding") meditation, including using sight, breathing and inner focus as a method to tame the mind and find inner peace. There will also be several short sessions of walking meditation. This weekend is a combination of meditation instructions and actual practice. It is suitable as a follow-up for beginners and also for anyone who wants to refresh their understanding. Taming the Mind through Meditation with Lama Zangmo takes place on the weekend of 26th-27th March, 10.00 - 4.00 pm. Book your place now via the event page on the website. Donations can be made using the PayPal button at the bottom of the event page. Join us every Sunday morning at 8.00 am for Green Tara practice. As the Centre's main doors are not open until 9.00 am, please arrive in time to be let in before the puja starts. To guarantee admission to this course it is essential to book in advance. Video teaching with His Holiness Gyalwang Karmapa, Ogyen Trinley Dorje. Suitable for all. An explanation of the traditional Buddhist approach to mindfulness training. Sun 13th, 10.00 am - 4.00 pm. Achieving greater stability of mind through meditation creates an inner space in which negative emotions can be subdued and positive qualities such as courage, confidence and compassion can develop.